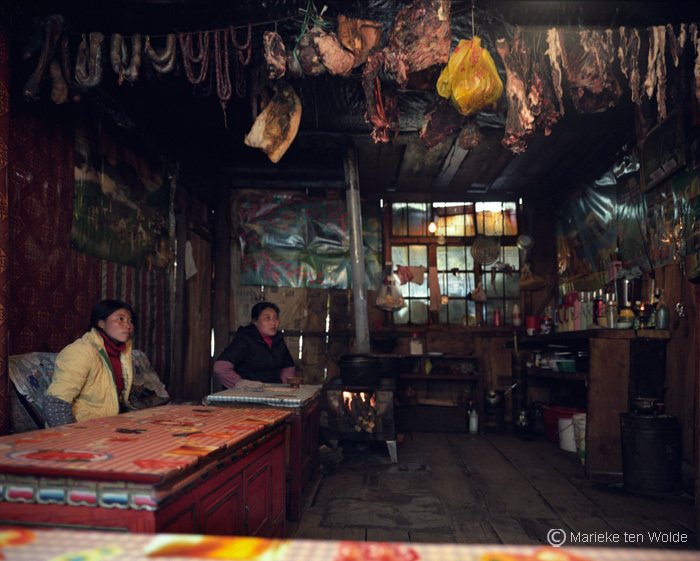 This is a view into a traditional Tibetan household in Kham, Tibet. This photo was taken by the photographer, Marieke ten Wolde, who documents her travels throughout Tibet with her camera and on her blog. You can see an example of her work in her new book about changes and modern Tibet, Freeing the Fish. Posted on December 10, 2013, in Pilgrimage, Tibetan Culture & History, Uncategorized and tagged pilgrimage, tibet, Tibetan culture, Tibetan history. Bookmark the permalink. Leave a comment.